According to the World Bank, as much as 80 per cent of India is yet to be connected to the Internet. 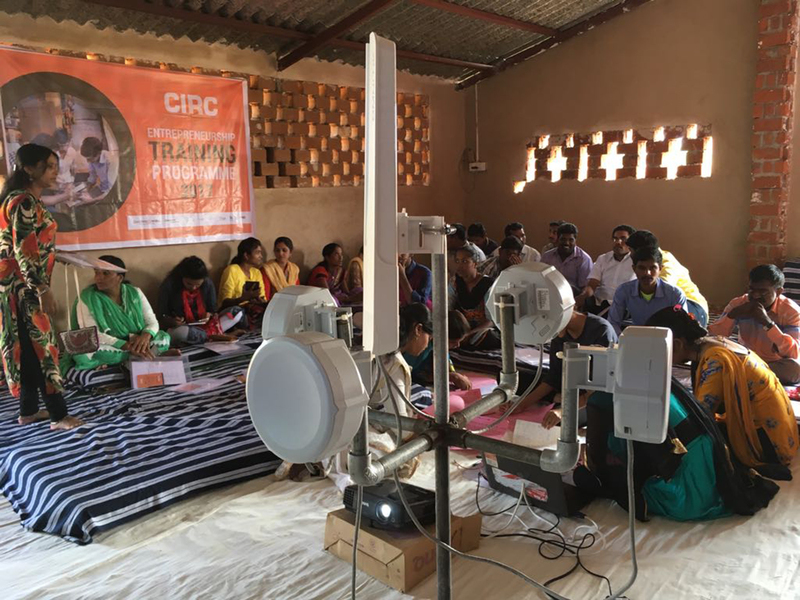 This large population of unconnected Indians largely lives in rural and remote locations of India, where mainstream Internet Service Providers see little benefit in making available their services. It is in these areas that Digital Empowerment Foundation (DEF) deploys its Wireless for Communities (W4C) programme, an initiative started with the Internet Society and Ford Foundation, that involves utilisation of unlicensed spectrum through frugal technology. Wireless for Communities is now in Phase VII. In this phase, we have connected the Little Rann of Kutch under project Zero Connect and the slums of Hyderabad under project Safa Network. We are now motivated to connect more communities through an out-of-the-box idea packaged within a box. Internet in a Box is a unique concept that offers Internet in a box, literally. At present, a prototype of Internet in a Box is in a pilot phase for six months in Ananthpur, Andhra Pradesh, a telecom dark region of India. This phase has been supported by Goldman Sachs. In this phase, DEF has provided a group of young community members with basic networking knowledge to set up, configure and troubleshoot a wireless network. 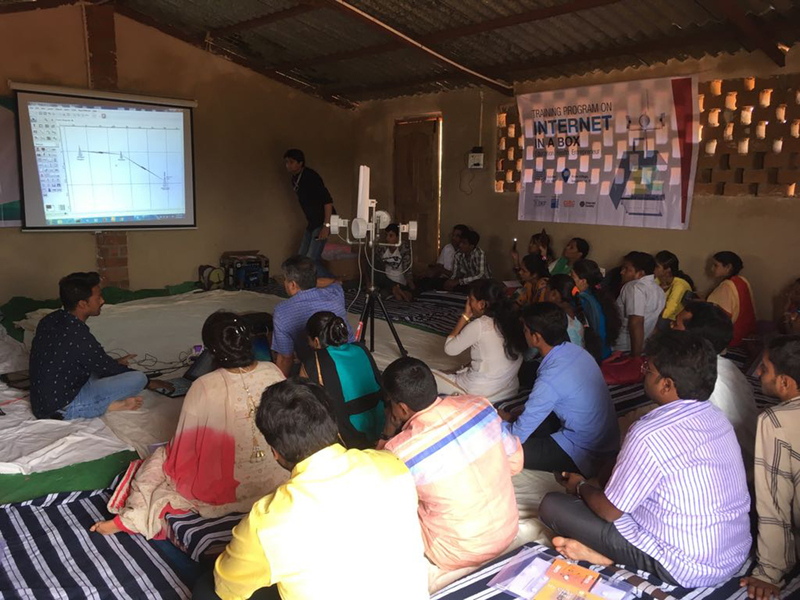 With an aim to utilise Internet in a Box as an entrepreneurial opportunity, further training and refreshers programmes will be organised for these members to develop skills in digital and Internet literacy, and to leverage the Internet for information and digital services-based livelihoods. By means of putting a completely localised user manual along with wireless equipment, radio, antenna, devices for measuring line of site, modems, accessories and toolkit to enable the use unlicensed spectrum packed in a physical box. The Internet in a Box can be used and installed by anyone and in any location with the help of a simple DIY manual. 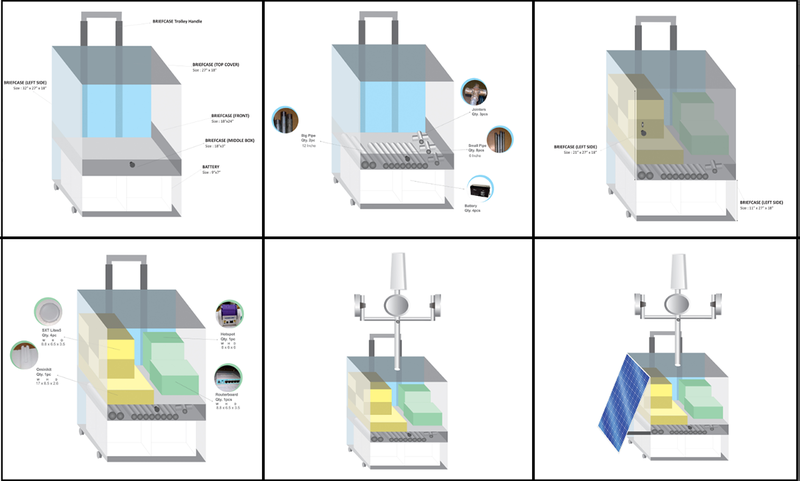 Internet in a Box is an innovative and cost-effective concept designed by DEF that intends to bring into market a plug-and-play configurable networking solution for deploying a wireless network to people in pre-defined small-range coverage areas. The box comes designed with built-in equipment and technology — including ethernet cables, relay cables, modems, connectors and user manuals — to deliver Internet connectivity at the last mile and, subsequently, promote adoption of the Internet for digital services related to information and entitlements, primarily in the area of livelihood, education and entertainment. Current solutions in the market are fixed or non-flexible in nature. They are also complicated solutions that require individuals to have advanced and rigourous training in network management and deployment. 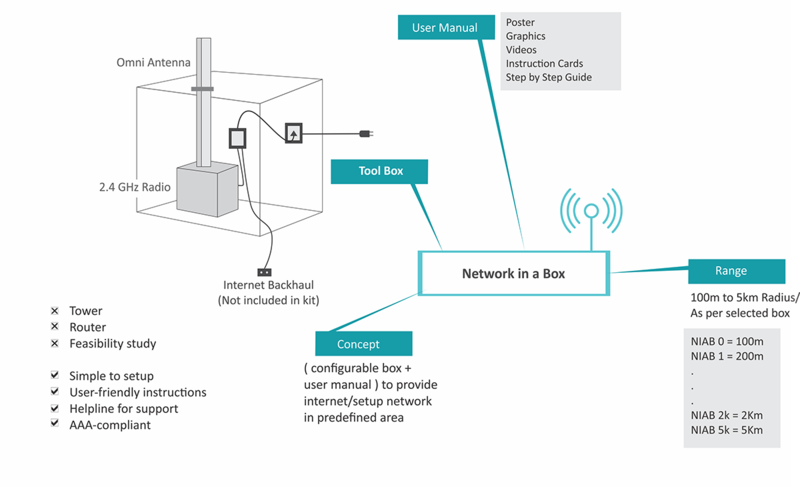 Internet in a Box, on the other hand, comes with a DIY manual so that users, with moderate knowledge in networking, can teach themselves how to operate the box to provide Internet connectivity to communities. Unlike several available solutions, the simple plug-and-play set up comes with a self-sufficient graphical guide. Once setup, minimal maintenance is required, and OTP-based AAA authentication via radial server will allow users to easily login to the system, without the need of complicated procedures. Yet, in case of assistance, customer service for deployment and troubleshooting is provided to rural network operators by DEF, telephonically or via site visits. Internet in a Box is fitted, as expected, into a suitcase-box, which comes fixed with a trolley mechanism for easy mobility. Made of aluminum, the lightweight unit (7 kg) is divided into four sections to hold the tripod and hotspot printer (to print receipt of Internet vouchers); the charger controller; the batteries; and the router, antenna (5.8 GHz and 2.4 GHz) and other equipment. A solar panel on the top of the box unit is fitted for the purpose of charging the batteries. The unit has the power to connect as many as 200 individuals at a time within a radius of 500m to 5km. 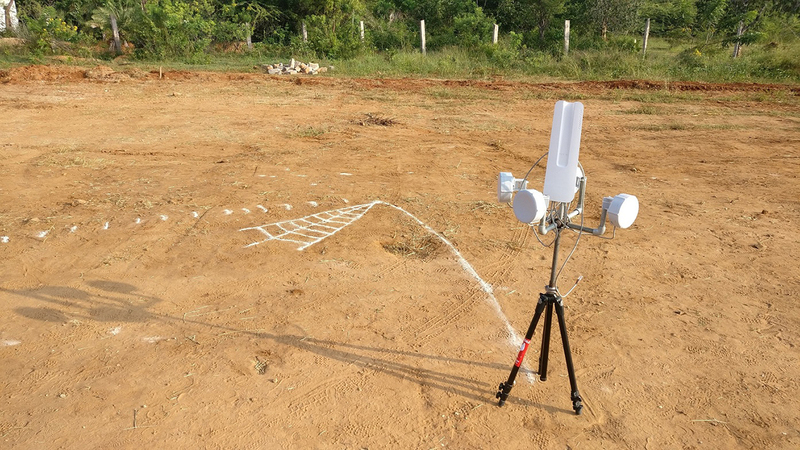 The 5.8GHz antenna provides connectivity in a radius of 360 degree in a range of 3-4 kilometre; while 2.4 GHz antenna provide connectivity in a radius of 240 degree in the range of 3-4 kilometres.